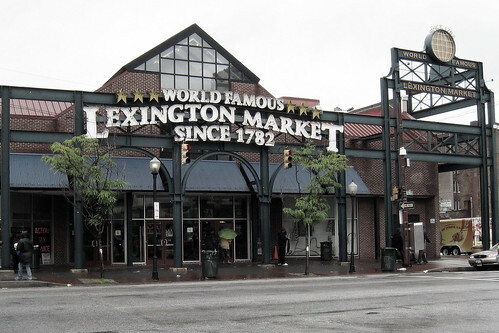 This Mother’s Day weekend I visited Baltimore’s Lexington Market, in remembrance of the times I went there with my mother as a toddler. I remember that I always found it to be a most frightening place, as I only saw the legs and feet of other shoppers. I remember tightly grasping onto my mother’s skirt as my younger brother and I stayed with her as she shopped. I wonder how my mother managed to get all of her purchases back home, as she did not drive? Perhaps my father picked us all up after work. Or, perhaps she travelled by street car, which was a very usual way of getting about the city in those long ago days. Then I wondered how she would have managed the street car ride with two toddlers in tow and bags of groceries. As my memories of those days are almost vanished, I can only wonder at how she accomplished all of those things in those bygone days. The image, Lexington Market, was originally uploaded by barneykin. It is posted here from Barneykin’s account. Visit Neddy’s Memories for more of Edna’s writings.